Product prices and availability are accurate as of 2019-04-20 11:35:37 EDT and are subject to change. Any price and availability information displayed on http://www.amazon.com/ at the time of purchase will apply to the purchase of this product. 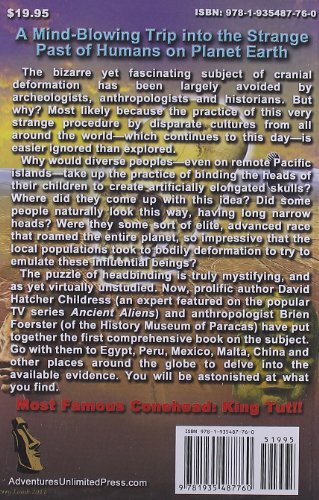 Popular Lost Cities author Childress tackles the enigma of worldwide cranial deformation along with Canadian-Peruvian anthropologist Foerster. 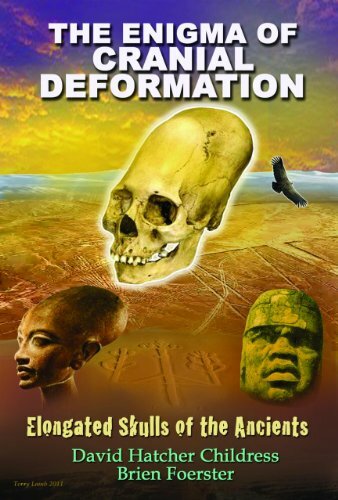 In a book filled with over a hundred astonishing photos and a color photo section, Childress and Foerster take us to Peru, Bolivia, Egypt, Malta, China, Mexico and other places in search of strange elongated skulls and other cranial deformation. The puzzle of why diverse ancient peopleâ€”even on remote Pacific Islandsâ€”would use head-binding to create elongated heads is mystifying. Where did they even get this idea? Did some people naturally look this wayâ€”with long narrow heads? Were they some sort of elite race that roamed the entire planet? Why do anthropologists rarely talk about cranial deformation and know so little about it? 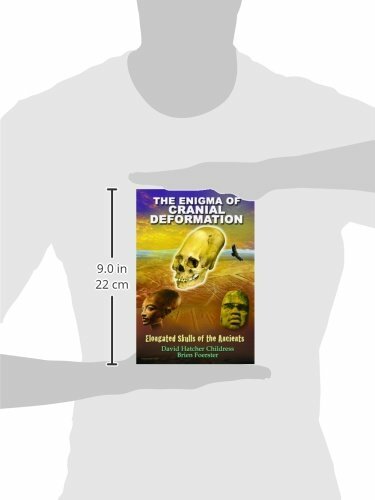 As incredible as it seems, Childress and Foerster discover that cranial deformation was practiced on nearly every continent by special groups who believed they were imitating their highly advanced ancestors. This is a mind-blowing trip into the strange past of humans on planet earth.